(Editors Note: this blog post was first published on a mytronx.com, which has now been merged into AOMI.com. The board has now been renamed S2Duino. S2 stands for either “single sided” or “super simple.” This post is published exactly as it appeared). Now on it’s fourth iteration, here is Myduino V4. This DIY Arduino clone is simple to understand and easy to make. 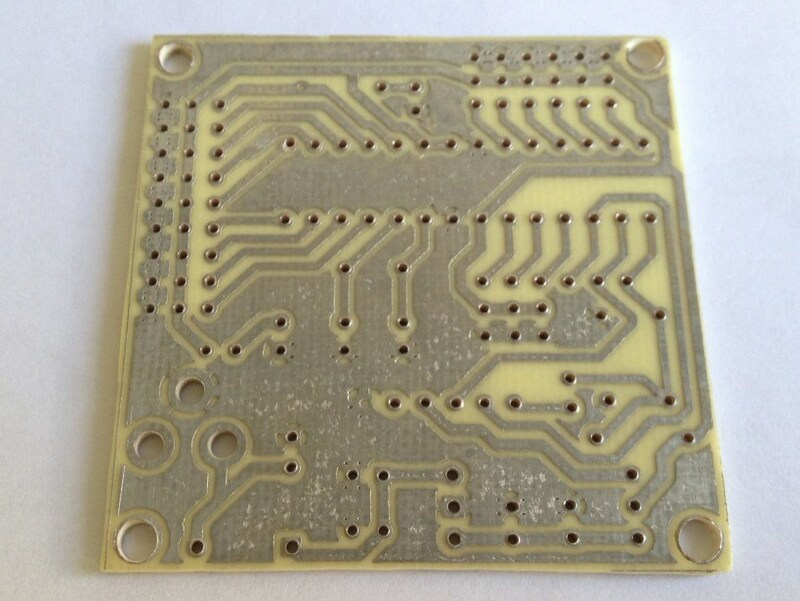 Pictured is the prototype board. Production boards are forthcoming. All these features are included in this small, one sided board without having to use a single jumper wire! My goal when designing this board was to make a small DIY Arduino compatible board that was easy to understand and make. The future is bright for Myduino V4. The components I was not able to include onto the board will be easily added with expansion boards (I’m calling x-boards) that fit on top of the header structure. USB connectivity, ISP-6 standard reprogramming header, multiplexer, motor drivers are just a few of the boards I have planned. Thanks goes to Cory Kingsbury for his Complete DIY Arduino page. His design and info was instrumental in designing MD3 which lead directly to the design of MD4.